The Extreme Networks/Zebra Access Point AP8222 brings you the fifth generation of Wi-Fi. 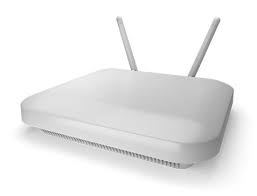 The access point supports 802.11ac 1.3 Gbps as well as 802.11n, simplifying the change over to the faster standard. At the same time its integrated double wireless module offers reliable transfer for all Wi-Fi devices with 2.4 GHz and 5 GHz. The AP8222 ensures for transfer from practically any number of mobile devices, even demanding applications. At the same time it provides one to four times higher transfer speeds compared to the n standard. The AP8222 features particularly modest, slim and chic housing with internal antennas. Thus, it is very aesthetically pleasing, even in public areas with high demands - in businesses, hotels, hospitals and much more. Its proven security features ensure that all data remains effectively protected during transfer. As needed, one of the wireless modules also easily becomes a wireless IPS sensor, in order to detect illegal network activity. In combination with the Wing 5.5 operating system you also make the AP8222 part of an efficient, dynamic network.